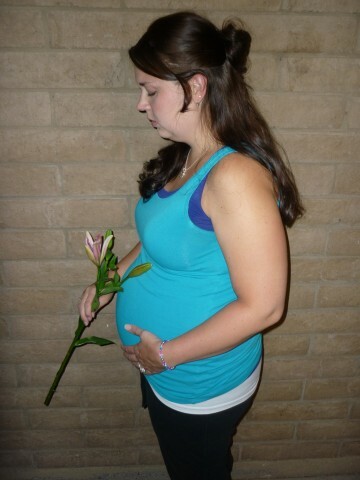 Pregnancy and Infant Loss Awareness. The buttons and banners and articles pop up all over Facebook, all over everywhere really, and those are only for the month of October. We are almost bombarded with things to remember, things to be "aware" of, and it makes some people wonder, "Why is it so important to have a day, a week, or an entire month to raise awareness for a certain topic?" Or more specifically, why does it matter to have a month or even a day set aside for something like pregnancy loss? It won't change anything. Not one less baby will die because I changed my profile picture to a pink and blue ribbon or lit a candle in remembrance of the babies who have already died. So what's the point? Why all the fuss? Why is my Facebook being overrun with sad articles and tiny footprints? Go through your Facebook friends list. Run down in your head all the women you know and love. Now take one fourth of those women and say to yourself, "All of these women have lost babies, have had miscarriages, have had infants die early on, have delivered babies born still, have carried babies that died with either no explanation or one that just wasn't good enough." This is not a statistic I pulled out of thin air, this is reality. 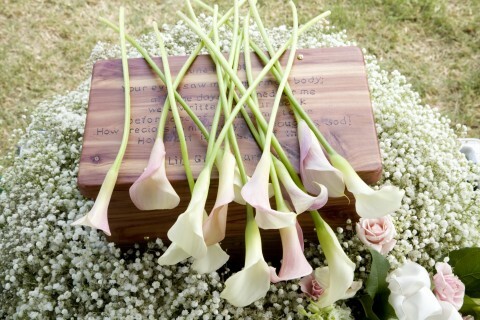 One in four women have dealt with some kind of pregnancy loss or early infant death. I actually went through my friends list tonight just to see if the statistic held true for me personally. Guess what? Not only did it hold true, my statistic was closer to one in three. One in three women who have a reason to be remembered today, October 15th, National Pregnancy and Infant Loss Awareness Day. And that's only counting the women I know for a fact to have had pregnancy losses, I am positive there are more who just aren't as open about their experiences and have kept quiet about their pain. And to add to that, more than half of the women I counted on my list have had more than one loss, some more than two, some as many as five. How many babies is that? I lost count. So if that many women have dealt with this kind of pain, have experienced this kind of life altering occurrence, why, why, why is it not all over the place all the time? 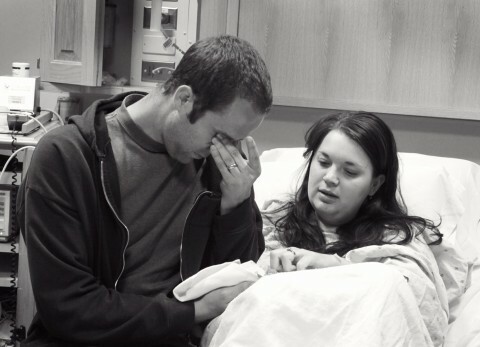 Why are there not talk shows interviewing Miscarriage Survivors every other day? Why are there not billboards declaring undying support for men and women who have lost children in this manner? Where are the walks and the marathons and the telethons raising support for burial costs for families of stillborn babies or counseling services for women experiencing post traumatic stress disorder or depression after their pregnancy loss? Why aren't ribbons in every grocery store checkout line and why aren't football players sporting a specific color with their cleats and their jerseys and their helmets showing their support for the women fighting to get up in the morning after losing a baby? One. In. Four. Women. Why? Years ago, there was no such thing as Breast Cancer Awareness. Years ago, breast cancer was considered a "women's problem" that was not to be discussed in polite conversation. It was talked about in whispered voices, usually only by women, and was not something the general public thought about or talked about or felt affected by. Sound familiar? It does to me, because that's where Pregnancy Loss Awareness is right about now. So what changed? I'm not entirely sure, but I think it had something to do with the fact that at some point, somebody woke up and realized that this was not just a women's health issue, this was an epidemic. This was everywhere you turned. Her mother, his sister, my grandmother...all of these women affected by the same thing. People looked up and said, "Hey, wait a second, I currently know four or five women fighting this battle right now. Why is no one talking about this? Something needs to be done! We need to support these women and their loved ones!" And so Breast Cancer Awareness was born. And at some point, it exploded. Save the Tatas. I Heart Boobies. Pink ribbons, pink shoelaces, pink cookie boxes, pink everything everywhere shouts "BREAST CANCER AWARENESS!!!" Turn on a football game this month. I dare you not to be bombarded with macho manly football players wearing pink something. And every time we see these pink reminders, we are reminded. There are women, everywhere, fighting like hell to stay alive after a shocking diagnosis they had no control over. Remember them. Support them. Don't make them fight their battles silently. Stand by them. This. This is what I want for the women fighting a silent battle after losing a baby. I am so proud of our country for how it has risen up to support women fighting breast cancer. But sometimes I wonder, where's the support for the hundreds of thousands of women affected by pregnancy loss? Why is this something most women still feel they must endure alone, quietly? Why is this still a topic whispered about mainly by women because men won't touch the subject with a ten foot pole? Why has my husband had one, maybe two friends even acknowledge his losses? Why do I have women quietly message me and tell me that they, too, experienced pregnancy loss twenty, thirty, fifty years ago but have never talked about it with anyone? Why is this subject so hush hush? Why was breast cancer once so hush hush? Because it is sad? Because it is uncomfortable to talk about? Why? I won't pretend to know the answer to that. I will only say that bringing awareness to these kinds of issues and topics takes time, and it takes voices. Lots of voices. Unfortunately, the voices of pregnancy loss are usually silenced in their grief. And if that doesn't do it, it usually only takes about one or two idiotic and insensitive remarks to make a woman vow to never talk openly about their experience again. And maybe two or three other women overheard or read those insensitive remarks and vowed to themselves to never talk openly about their experiences for fear of having someone say something like that to them. And then there is the common misconception that one shouldn't bring up such a painful topic for fear of reminding the person experiencing pregnancy loss of their pain. As if saying, "I was thinking of you and your sweet baby today, and I am so sad you are missing them," might somehow make that person go, "What!?! Thanks a lot! I had COMPLETELY forgotten about my baby until JUST NOW when you said that!" Let's do a little comparison shall we? Let's say a friend is diagnosed with breast cancer. She is currently being treated and starting on a hard road to recovery. What might one do? Well, one might change their profile picture to a pink ribbon. One might leave encouraging messages for the woman fighting this battle on her Facebook wall. One might offer their assistance in the form of meals, child care, or grocery shopping. One might send a card in the mail reiterating their love and support. One might offer to drive their friend to their doctor's appointments or even sit with them during chemo. One says, "I am praying for you! You will get through this, and I will be here by your side all the way!" One signs up to do a 5k in honor of their friend. One wears a pink ribbon on their work badge. One does anything and everything they can, because their friend is fighting a hard battle, and the least they can do is fight it with them. 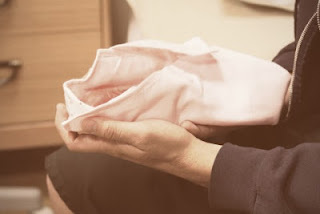 One does not say to themselves, "Well, I don't want to rub in their faces that I myself do not have breast cancer, so I will just not speak to them until they are cured." One does not say, "I don't want to remind them that they have breast cancer, so I will just pretend that they don't have it at all." One does not tell their friend, "Friend, this was just God's will. It is something you must accept and move on from." One certainly would not say to their other friends behind said friend's back, "That friend of ours. When is she going to get over this breast cancer thing? I mean, sure, it's sad, but isn't it time she move on with her life?" Or maybe this friend lost a breast to her battle with cancer. Would a friend say, "Oh, well, at least you have another breast. Be thankful for the breast you have."? Atrocious. Anyone with a friend such as this should immediately run in the other direction and never speak to that person again. Yet...things like this are said to grieving mothers every single day. 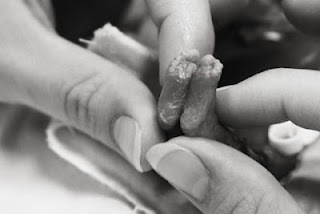 "I don't want to rub in their face that I have never had a miscarriage. I can't relate to them. I will just avoid them." "I don't want to remind them of their loss, so I will just not mention the baby ever again as long as I live." "I know it's hard, but it's God's will. You must accept it and move on." "When is Suzy going to get over her miscarriage? It was months ago. I mean, sure, it's sad, but when will she move on?" "At least you have other children, Suzy. Be thankful for the ones you have." I myself have been the recipient of some of those gems, and know at least one woman who has been the recipient of all the others. It used to make me gawk in disbelief. I have come to accept it as ignorance. As not knowing any better. As the product of an environment where people don't discuss the issue, so no one knows what to do when their friend or loved one is faced with it. This. This is why it is important to have these "Awareness" months, or weeks, or days. 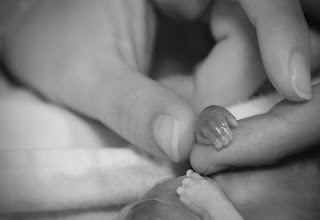 It gives mothers like me permission to shout from the rooftops, "MY BABY DIED, AND I STILL STRUGGLE WITH THEIR LOSS." It opens the door for others who might not otherwise have the courage to talk about their loss to do so. It starts conversations. Conversations about how to support women and men experiencing pregnancy or infant loss. Conversations about what is not appropriate to do or say. Conversations about why these losses occur, how they affect the parents and the siblings and the grandparents. It shows women that they are not alone in their grief. That so many others have been through it and can relate to their pain. That what they are experiencing is not only normal, it is okay. 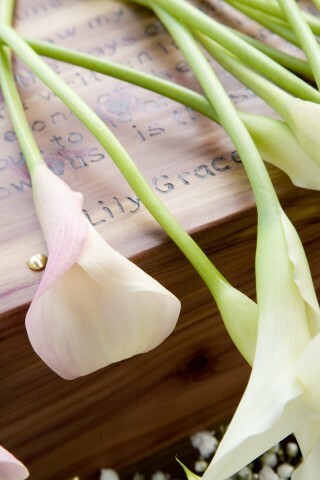 It is okay that I still miss Lily, over a year after she was buried. It is okay that I feel random moments of grief for the three babies I will never hold again in this lifetime. It is okay that I cry sometimes. It is okay that I laugh sometimes. It is okay that I grieve however I choose to grieve. It is okay that she did a balloon release today in honor of her baby and she only lit a candle in honor of her many lost little ones and I did nothing but write this blog. It's okay. Because we're in it together, and the only reason we know we're in it together is because we're open about our losses, and we are open about our support. Please, please understand my heart as you read this. I am not in any way saying, "Darn those breast cancer survivors, they get all the glory." As I said before, I am so, so proud of how our society has stepped up to support those women and love on them during their battle. I use them as a comparison because I think they were once in our shoes, fighting a battle silently, a battle no one felt comfortable talking about, a battle practically no one showed their support of. And look at them now. The entire world takes pride in standing up next to those women, in making sure they know they are not alone. I don't wear a ribbon or have some badge of honor showing that I have been affected by pregnancy and infant loss, not one the general public recognizes, anyway. I wear a bracelet with Lily's name on it. I wear a necklace every minute of every day with three tokens for my three babies that are no longer here. But if there was some recognizable, universal badge showing support for the survivors of pregnancy and infant loss, you better believe I would proudly wear it every day. And maybe, if we keep working at it, someday there will be. I LOVED this post! You said everything I wished I could have said about yesterday. This year I just didn't know what to say... so thank you for being my words :) I also wanted to let you know that I linked up your post on my blog... that's how fantastic I thought it was!!! Love ya girl, praying!!! Bless you, Karen! Thank you for sharing your beautiful heart and passion to give this a voice! :) Praying for your continued healing! wow... those pictures are just amazing. Your words so real and good. Ohhhh, wow. Incredible post. Moved me to tears. 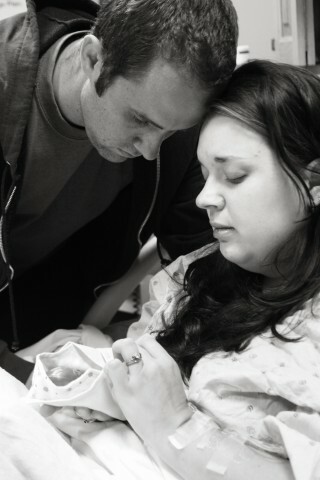 We lost a full-term baby boy born with anencephaly. Changed my heart forever. My 28 y.o. daughter and I started volunteering in a pregnancy resource center this year. You are SO writing my heart. Blessings to you, my friend. beautiful!! Thank you for sharing! Our 1st born was stillborn....16 yrs ago! You never "get over it"